1. Fry potatoes in oil, turning all sides, until soft and slightly brown. Set aside. 2. In the same pan, stir-fry the chicken until light brown. 3. Add in ¾ cup water, then cover and simmer for 20 minutes. Make sure the chicken is cooked and tender. 4. 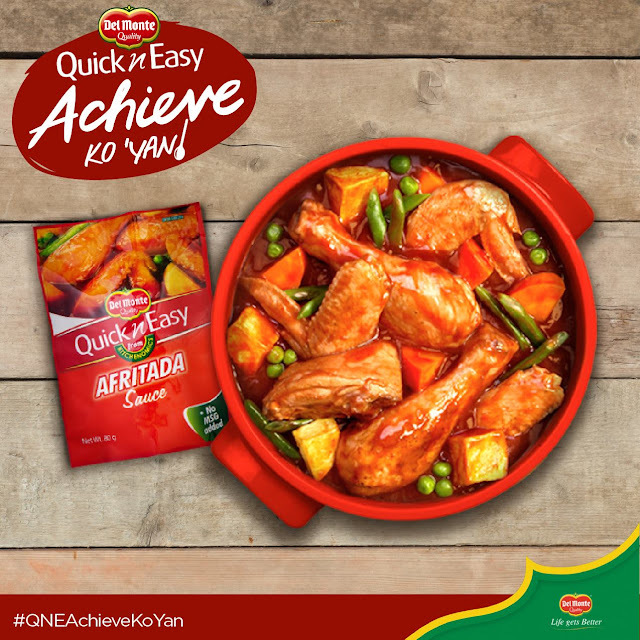 Add DEL MONTE Quick ’n Easy Afritada Sauce, carrots, green peas and Baguio beans. Simmer for another 5 minutes, then stir in the potatoes. Serve.